Samantha and Christian are such a sweet and loving couple. 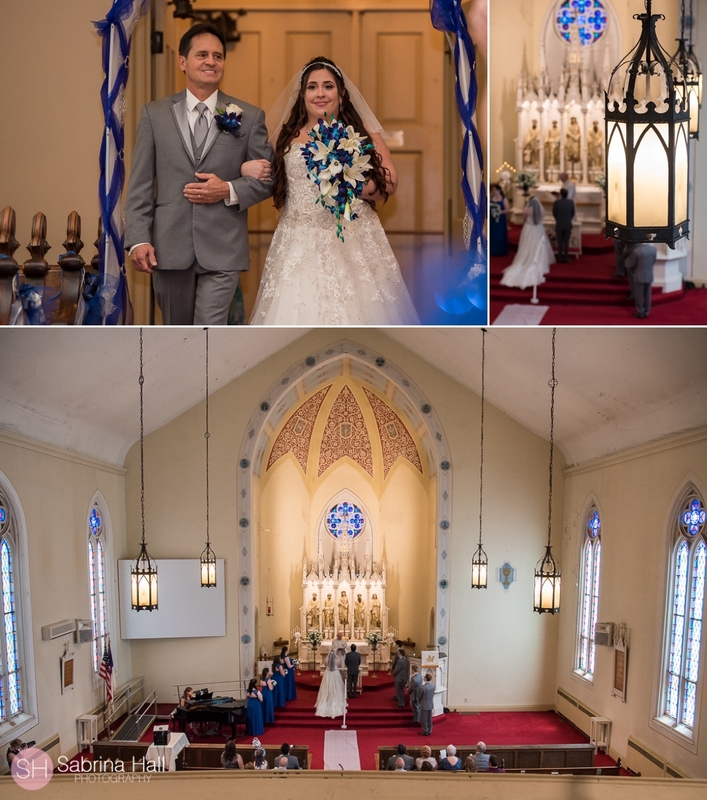 They had their ceremony at the Zion Lutheran Church and the reception was held at Chenoweth Golf Course in Akron Ohio. 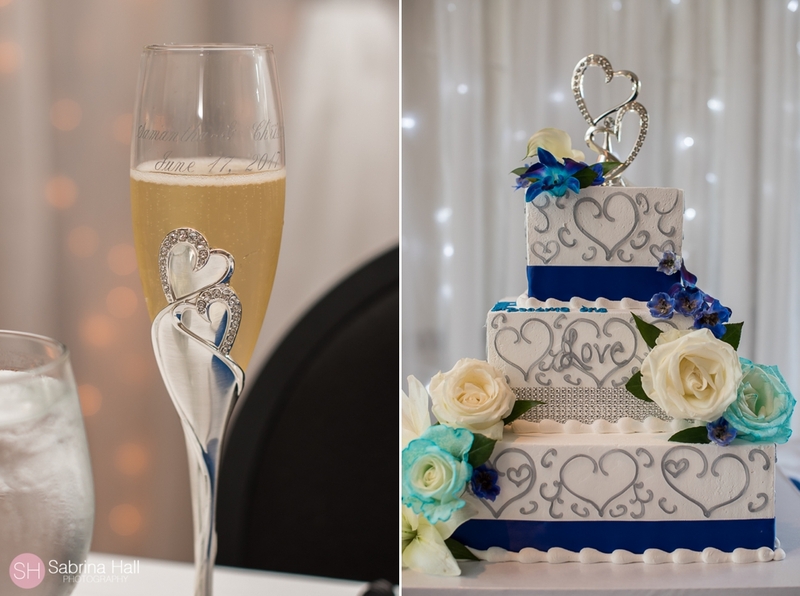 Samantha and Christian’s theme to their wedding was “two hearts becoming one” with blue and sparkle! 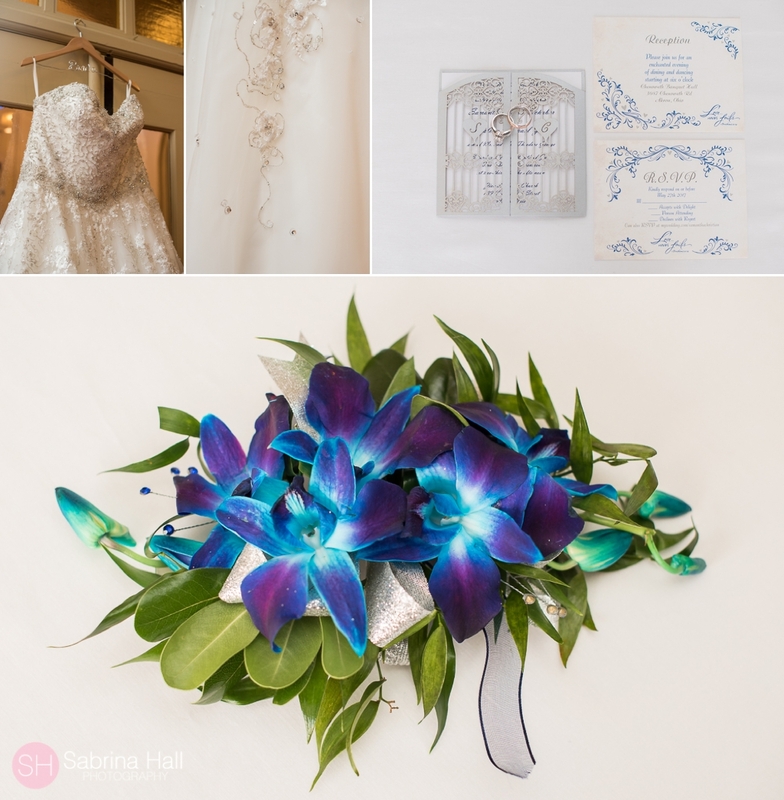 Throughout the whole wedding, from the sparkle in Samantha’s dress, to the Legend of Zelda shields on the groomsmen boutonnieres, the whole day really captured their theme and love for each other! On April 18, 2015 Christian asked Samantha to be his wife in the gazebo at the Sheraton. We visited the exact location for pictures the day of their wedding too. 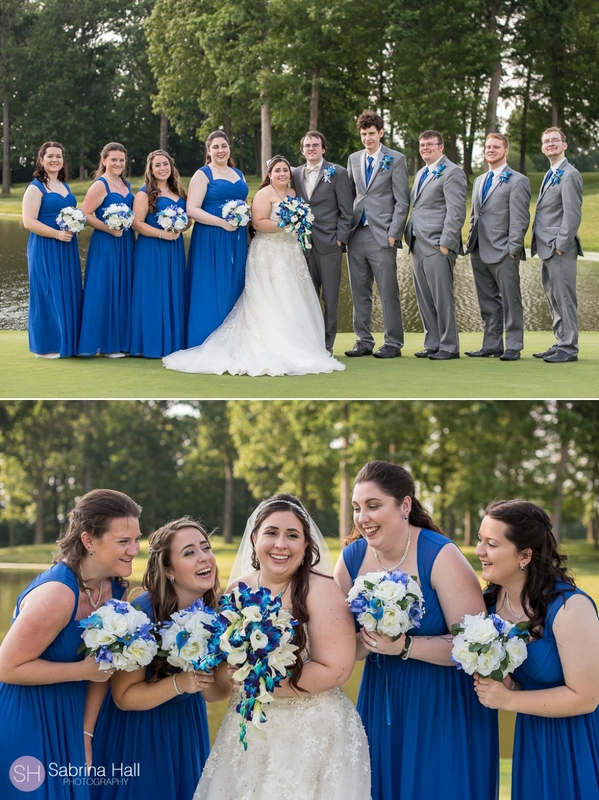 The three bridesmaids were wearing beautiful, long blue dresses from Doreen Leaf and the three groomsmen looked very handsome in their grey tux with blue vests and ties from Tuxedo Junction. Samantha’s dress was perfect! 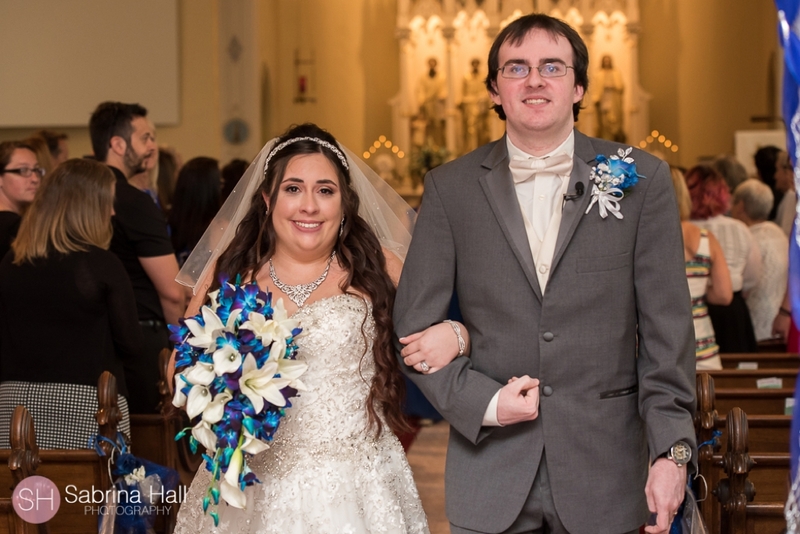 While looking for the dress she knew that she wanted to have lots of sparkle! When she saw this dress at Doreen Leaf she fell in love. Chenoweth Golf Course is a perfect place for a wedding reception! 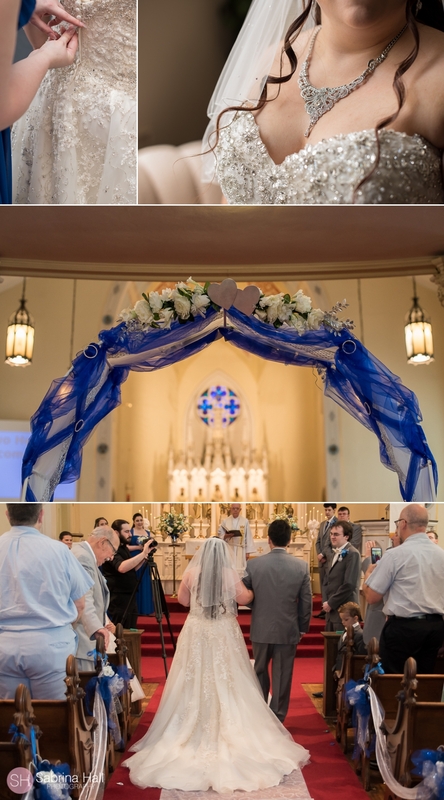 Chenoweth was decorated beautifully with a lot of personal touches. Samantha, her mom and her sister worked hard and got crafty with all of the wedding decor details. The wedding arch, cake stand, table numbers, bridesmaids bouquets and groomsmen boutonnieres were all made by hand. 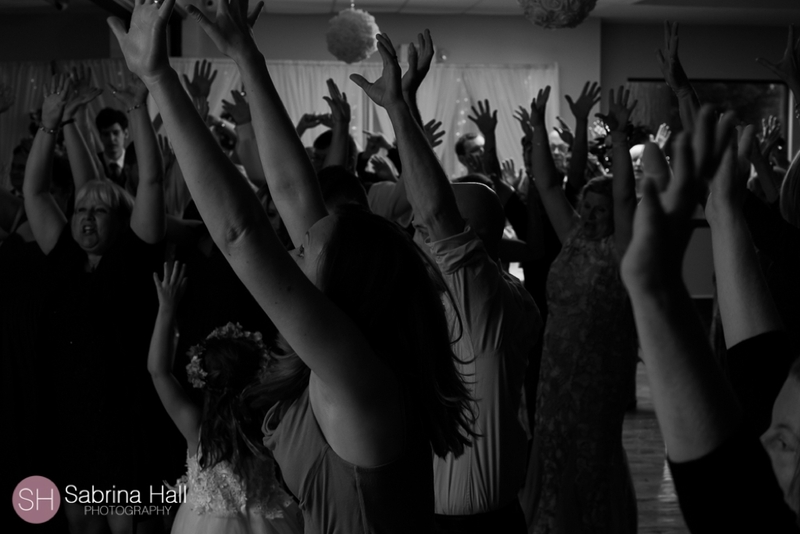 Samantha and Christian’s guests were such a fun group, everyone was out on the dance floor having a great night. 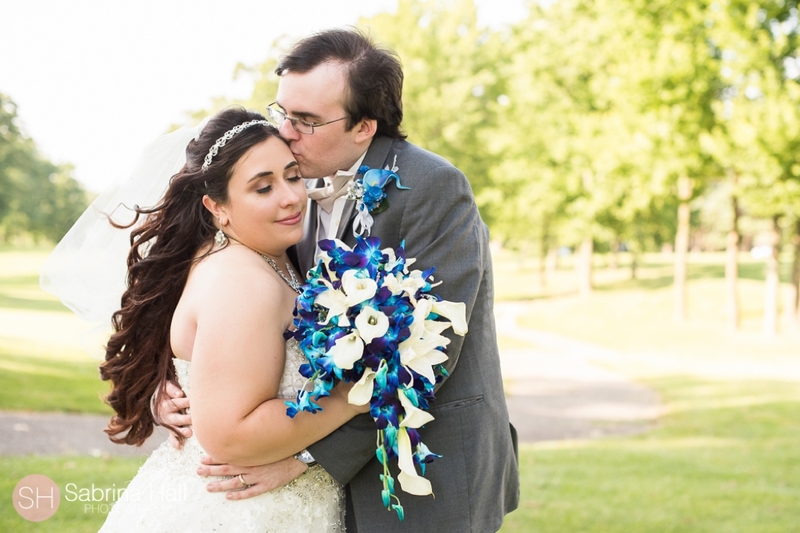 Check out some of my favorite photos form their beautiful wedding! Chenoweth Golf Course is a beautiful place for a wedding! The golf course is a perfect backdrop!